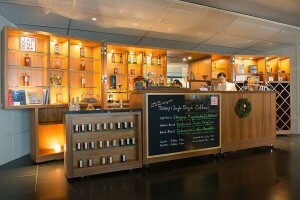 Coffee – locally roasted single origin coffees. Fresh Youtei spring water. Japanese artisan brewing techniques. Japan’s finest coffee. Whiskey – the special Japonica selection of Hokkaido whisky. Single malt, single cask and rare edition Nikka whisky.